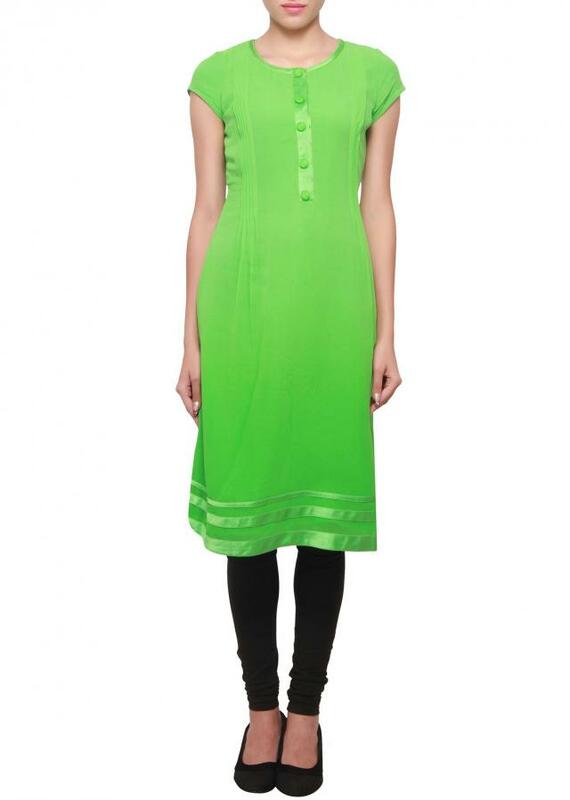 Shamrock green kurti featuring in georgette. It has satin pleats and piping details. It has a round neckline and short sleeves. The length is 42 inches.